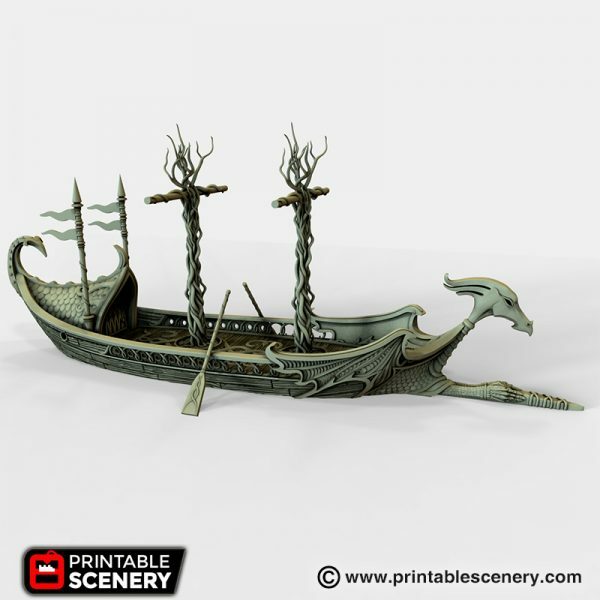 In the hands of other races, a galley is a versatile warship – agile and deadly. But elvish craftsmanship adds a regal splendour to these mighty boats. 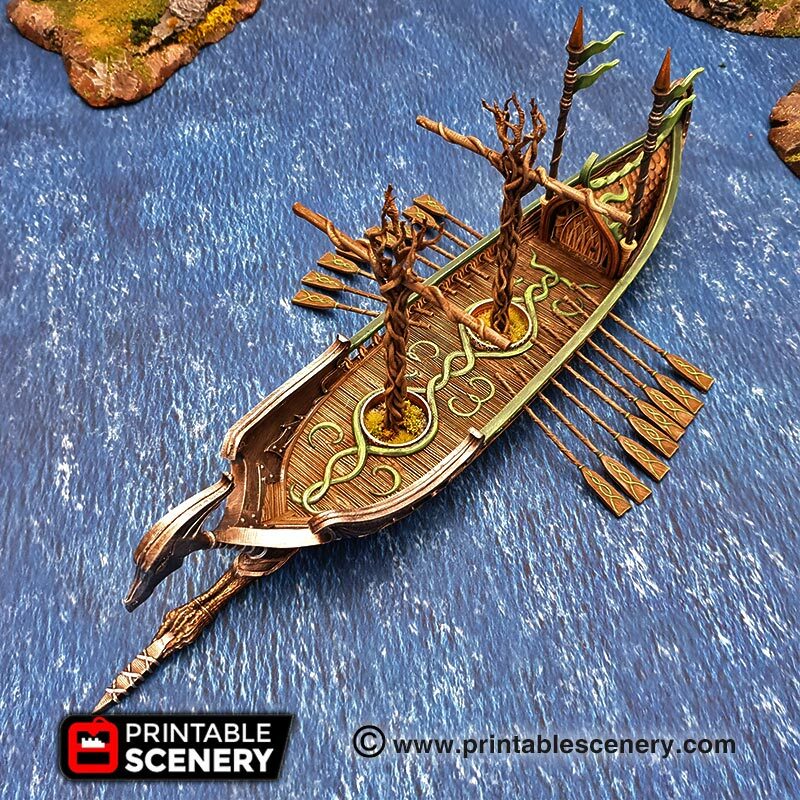 Slicing through the waves as efficiently as an elvish sword, the sleek dragon galleys dominate from shoreline to sea. 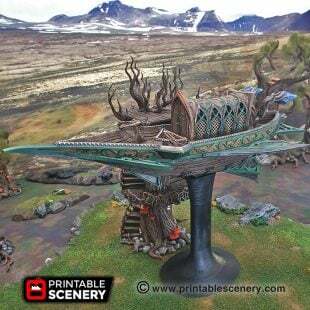 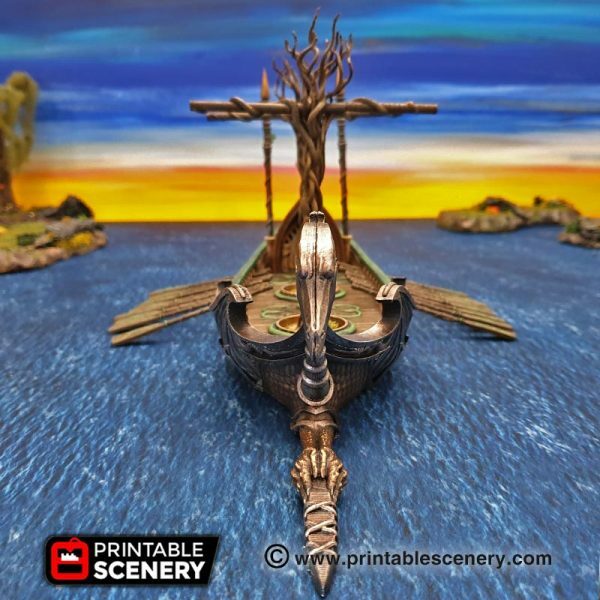 From the ornate patterns covering its hull to the magic-infused tree powering its journey, each element has been crafted in the elven traditions of elegance and beauty. 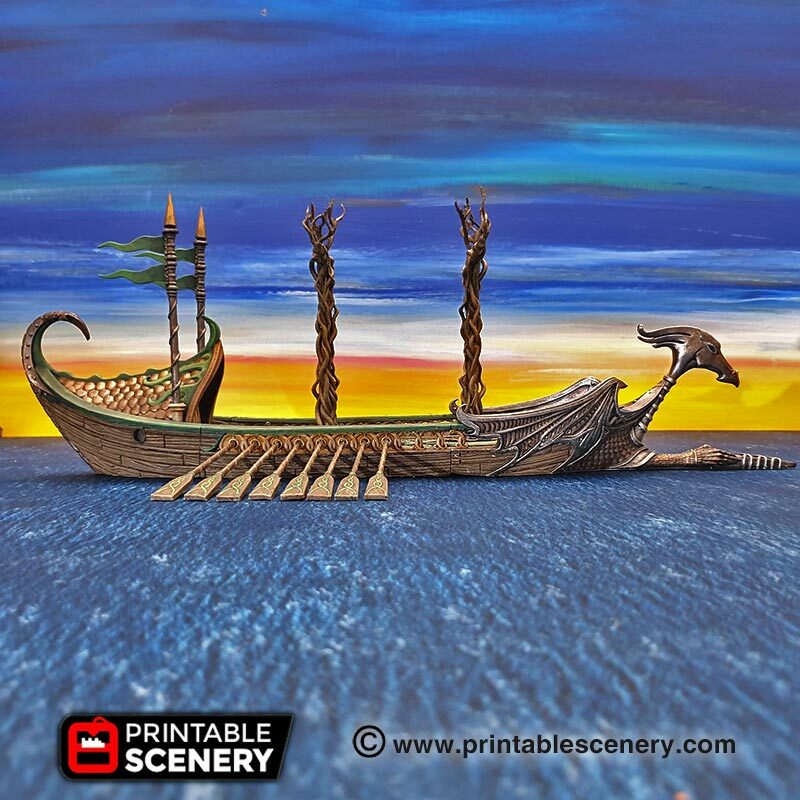 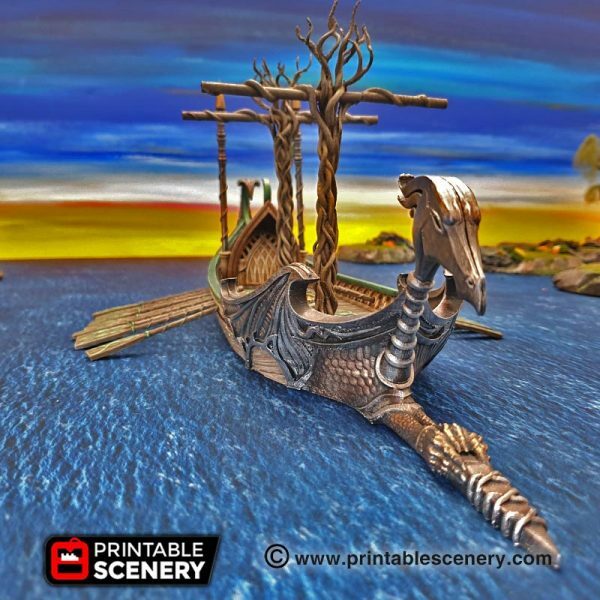 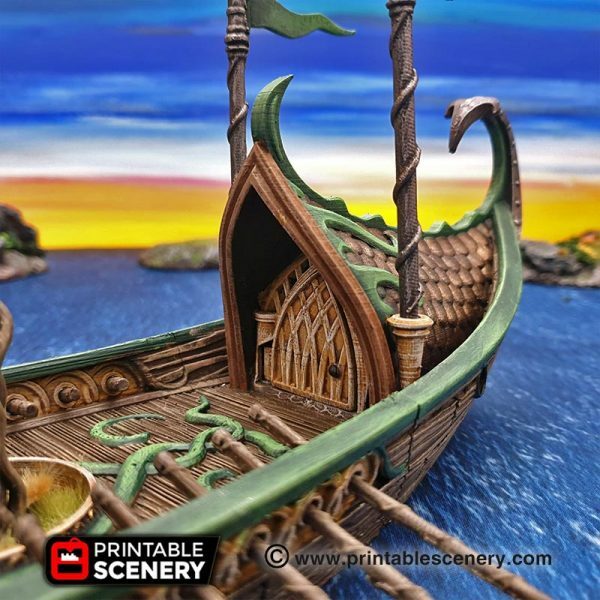 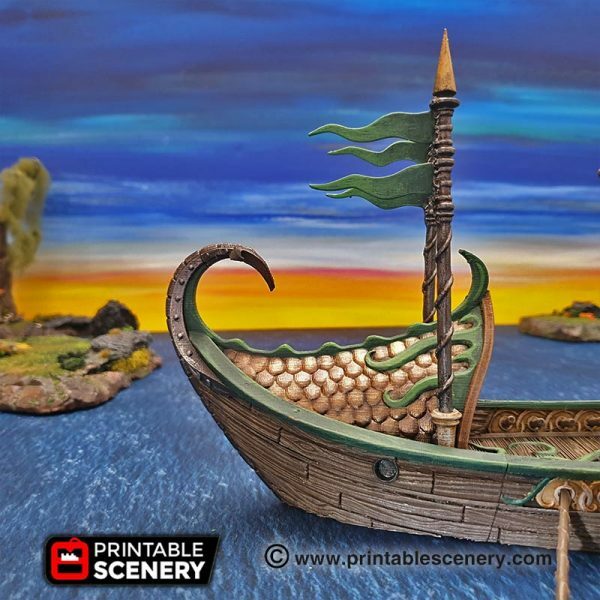 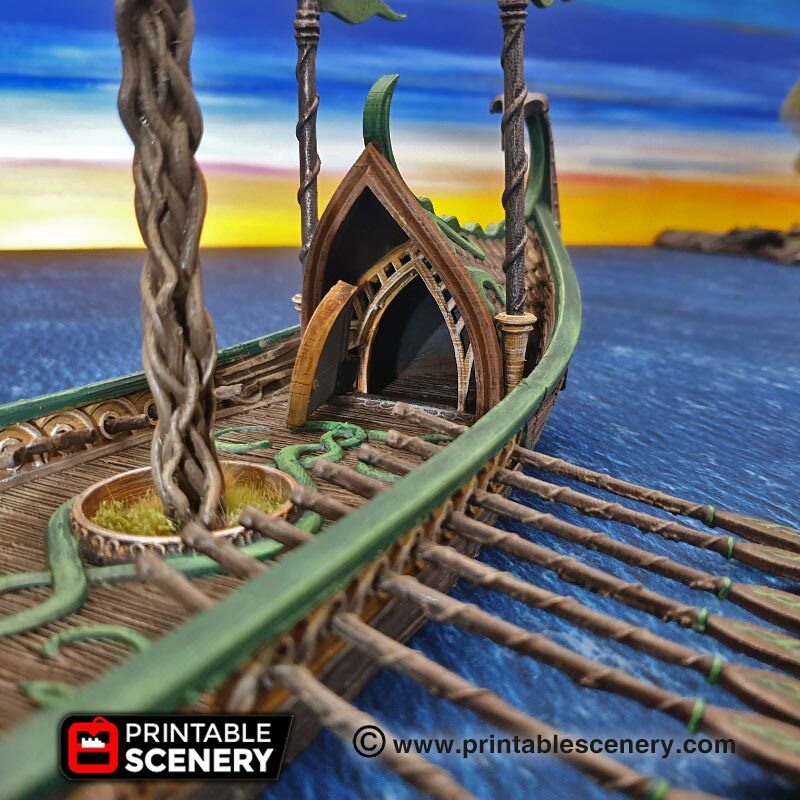 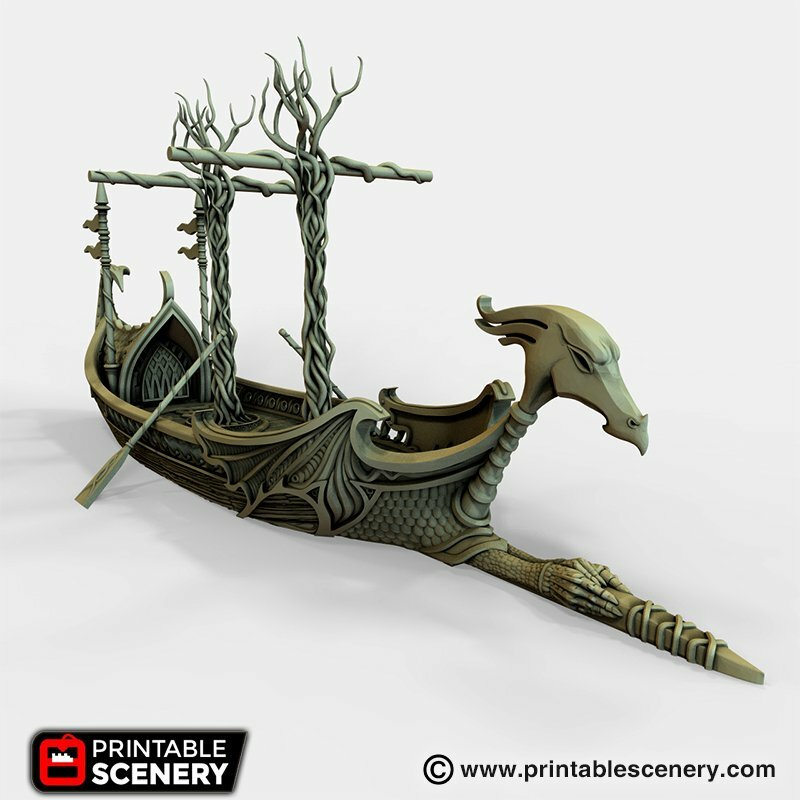 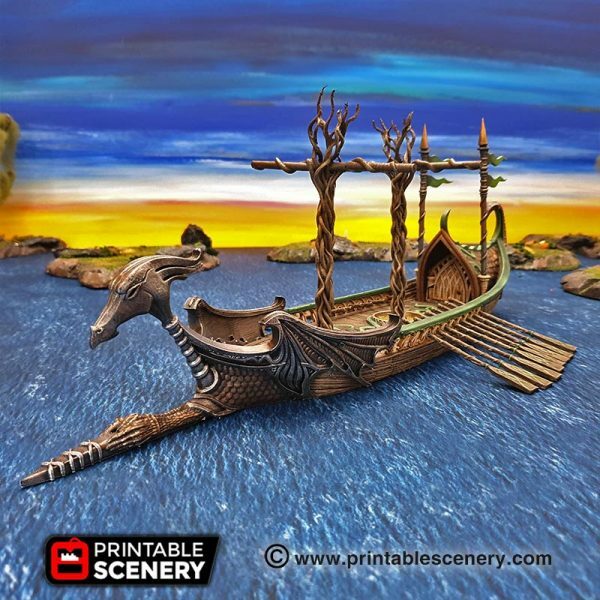 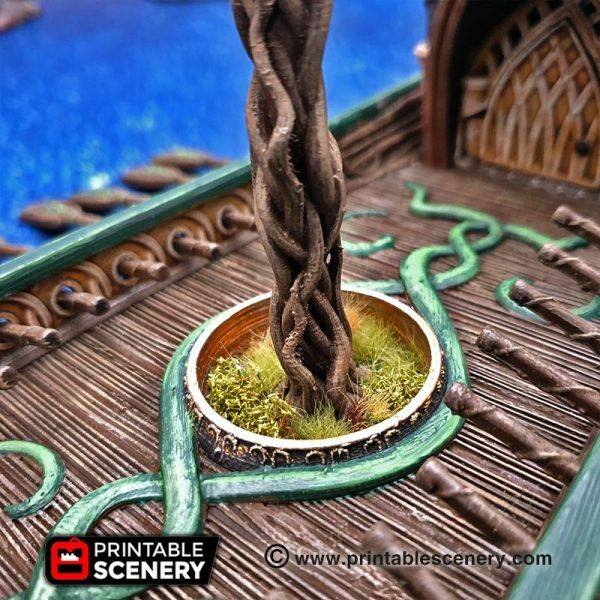 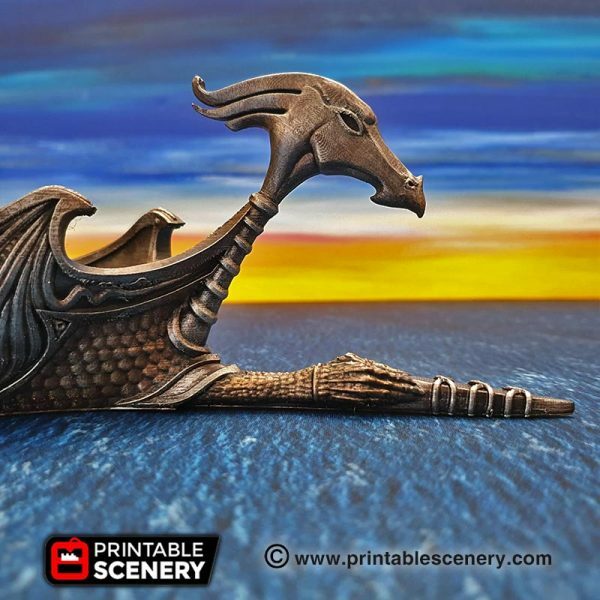 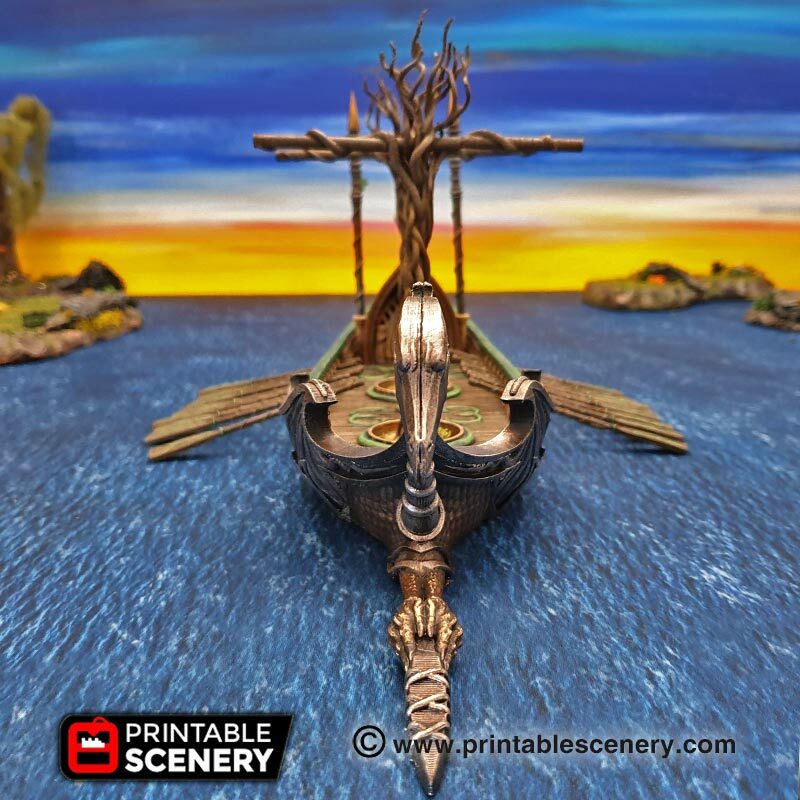 The Dragon Galley is a ship suited for fantasy RPG, pirate or skirmish tabletop games. 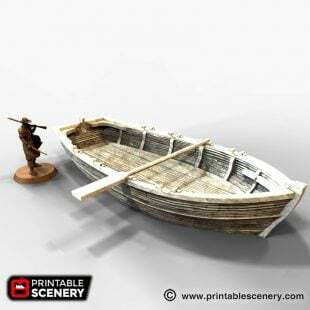 Included are hinged doors and oars. 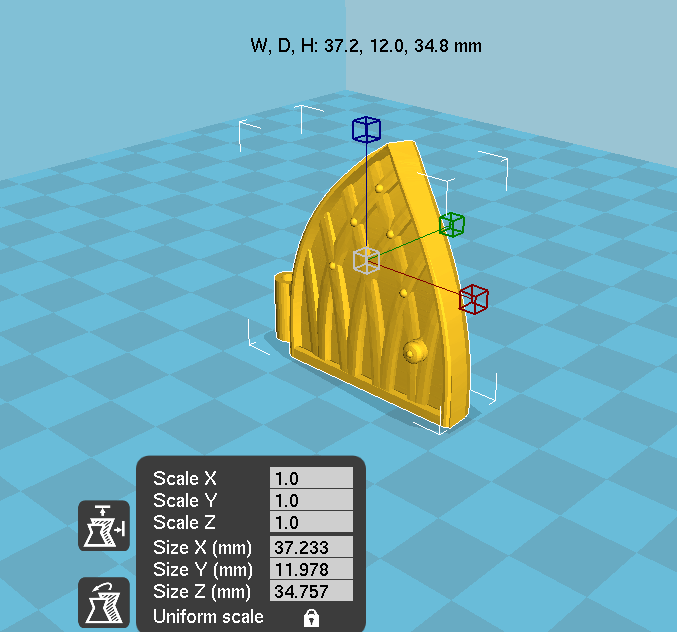 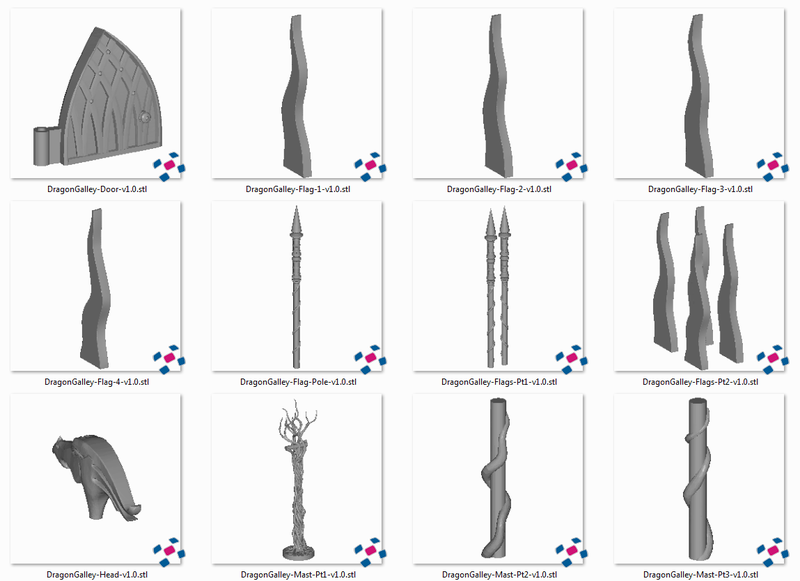 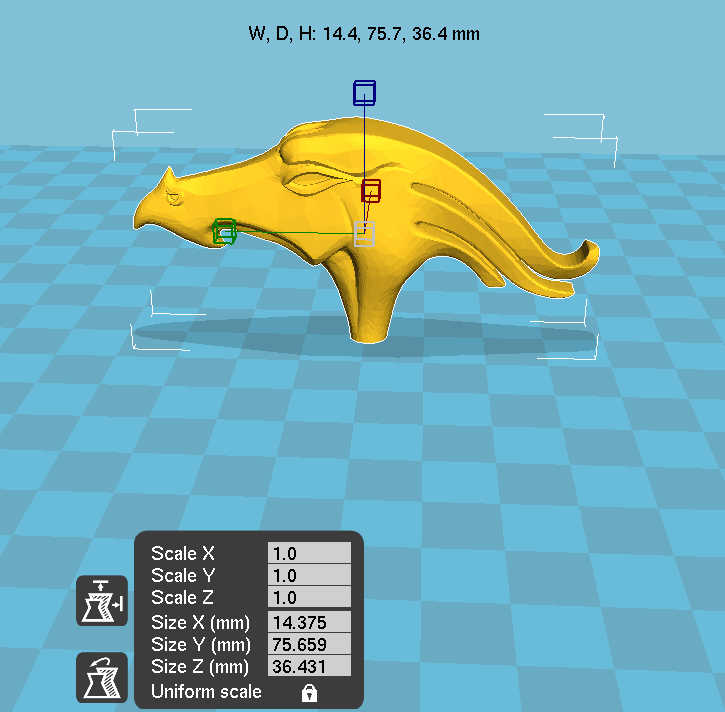 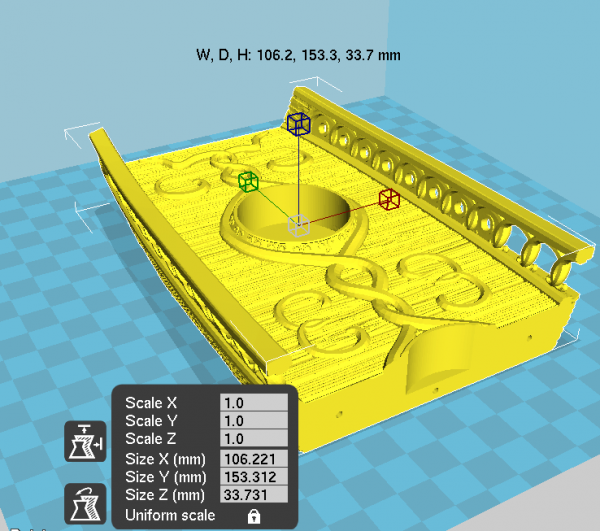 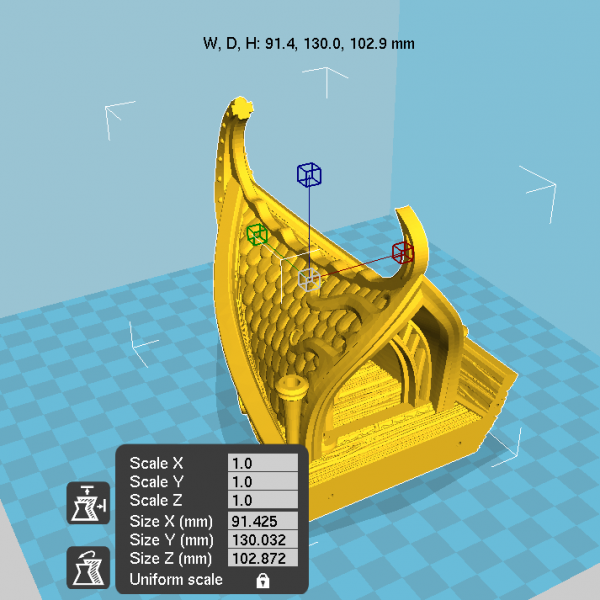 We recommend printing the smaller pieces at 0.1 resolution with supports touching buildplate. 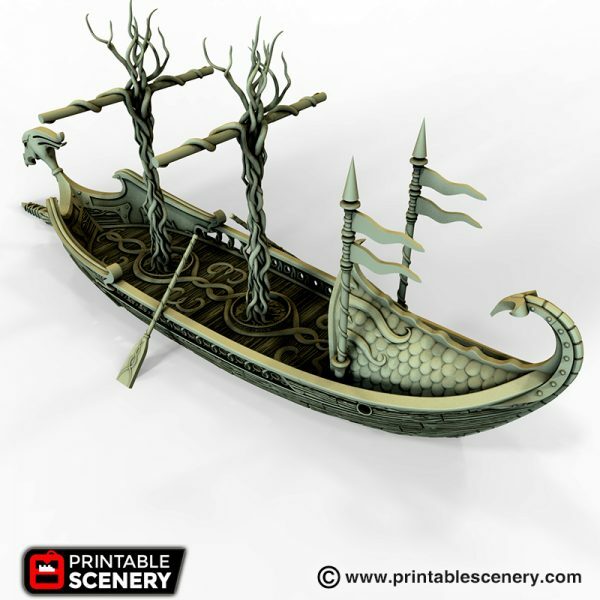 There is a small print version included in the pack. Is there going to be a wake made for this model? 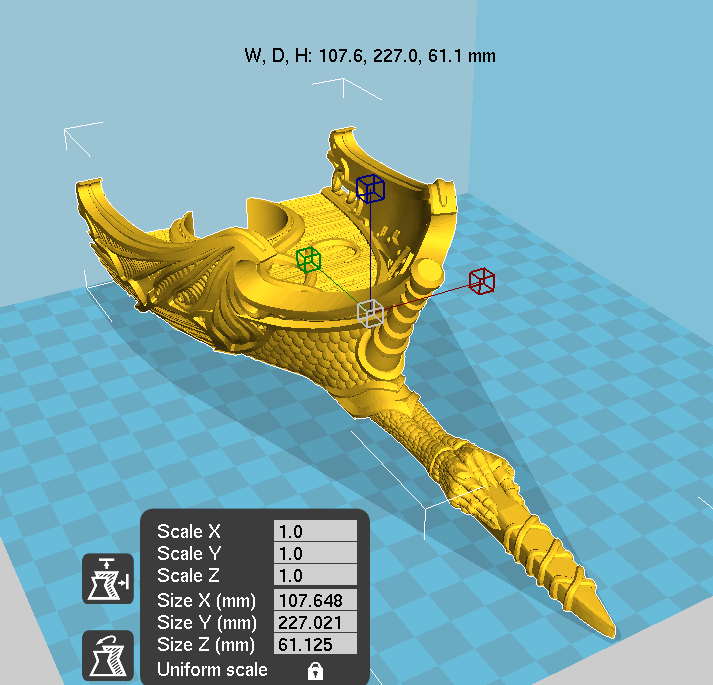 We haven’t planned wakes for the new ships yet, But we’ll add it for further improvements to this model and possibly update it later.